Specialty data aggregation, integration, and management tools to improve patient care and increase adherence. Timely, complete, and accurate data every day. ValueCentric is more than just a Specialty Data Aggregator – we establish and monitor quality metrics, working directly with specialty partners to correct any data issues before they’re published. Best-in-class Master Data Management services consolidate and maintain complete records for points of care, healthcare professionals, and insurers including multiple attributes and identifiers for easy interpretation of specialty data. ValueCentric creates specialty data quality scorecards available to the customer and/or the specialty partner to ensure compliance with data agreements and consistently high data quality over time. Our team of experts will deliver a thorough analysis of your specialty data partners’ data reporting capabilities including reconciliation reporting of sales and prescriptions across distributor and pharmacy specialty partners. Our team manages relationships with your specialty partners, creating a detailed escalation process to efficiently resolve issues and ensure the highest level of data quality. ValueCentric provides your specialty partners training, documentation, and guidance that clearly explains data formats and the minimal acceptable data elements for reporting based on data contract agreements. We work to ensure specialty partner data reporting capabilities are maintained at an acceptable level and continually improved to maximize patient care. Single solution for longitudinal patient tracking. ValueCentric offers cost-effective, flexible solutions for the handling of Protected Health Information (PHI) ensuring longitudinal integrity in your patient analytics. Our HIPAA-compliant de-identification platform takes in patient data, running it through sophisticated encryption and site key processes leaving customers with de-identified records for longitudinal patient tracking across time and source. 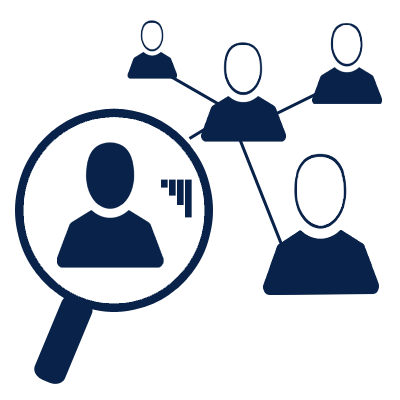 Our de-identification platform may also be installed onsite at the Specialty Partner facility to ensure a high level of consistency across all data sources. Daily benchmark and scorecard updates help you respond to market events in real time. ValueTrak’s proven platform for trade and channel data is the foundation of our Specialty Data Aggregation & Reporting services. Coupled with our HIPAA-compliant data center, we provide best in class specialty data analytics and support to our customers. Customers leverage alerting, benchmarking, and scorecarding built and perfected for Specialty data. Our market-leading Data Quality Scorecard helps you respond and react to data inconsistencies as they occur to prevent further hindrances to patient care. Our flexible reporting allows for weekly/monthly snapshot trending to improve patient access and drive revenue growth. ValueCentric’s experienced team of specialty data consultants are available to advise on everything from key performance metrics to establishing sound contracts with your specialty partners. We help keep your staff informed of industry trends most critical to optimizing specialty pharmacy services, product performance, and the patient experience. With help from our team, determine critical patient statuses, how to contract the handling of Protected Health Information (PHI), methods of acquiring insurer data, identifying critical specialty data elements to contract, and more. With Data Aggregation, Where is the Specialty Pharmaceutical Space Lacking? An area with room for growth and enhanced capabilities is the concept of more broadly linking different sets of patient data to provide an accurate picture of the patient journey. We’ve been in business for 15+ years managing 800+ data and data supplier relationships. Offering one single data platform across the spectrum, including manufacturers, wholesalers, specialty distributors, 3PLs, and pharmacies. Over 150 manufacturer customers and 100+ Specialty Partners have trusted us to provide data aggregation services ensuring timely, accurate, and complete data. Flexible specialty data reporting spanning marketing, sales ops, sales, market access, trade, supply chain, and finance teams. Specialty manufacturers receive cleansed data including utilization, HIPAA-compliant de-identified patient information, status and inventory data, etc. Multiple specialty data integration options to connect with any other system: CRM, ERP, BI tools, etc. HIPAA compliant data center with SOC 1/SSAE 16 and SOC 2 compliance — your data is in safe hands.